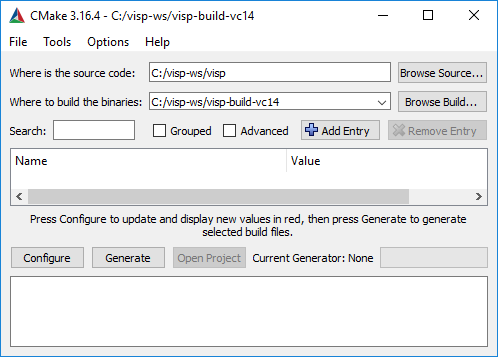 In this tutorial you will learn how to install ViSP from source on Windows 10 with Visual C++. 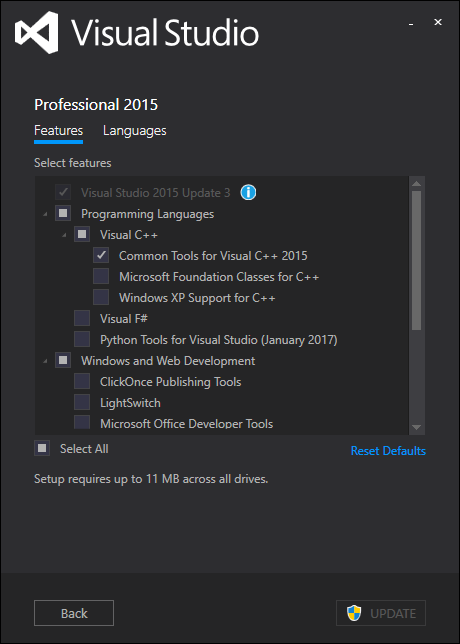 These steps have been tested on Windows 10 (64 bit), with CMake 3.13.1 and Visual Studio 2015. Then install Windows Software Developement Kit (SDK) for Windows 10. This SDK could be downloaded from https://dev.windows.com/en-US/downloads/windows-10-sdk. This SDK is requested by ViSP and allows also to get the Graphical Device Interface (GDI) capabilities. The GDI is used in ViSP to display images in a window thanks to vpDisplayGDI class. Modify the Path var to add %VISP_WS%\visp-build-vc14\install\x64\vc14\bin corresponding to the path to ViSP libraries. You have also to add the location of OpenCV libraries corresponding to Visual Studio 14 2015 Win64 usage in the Path environment variable. 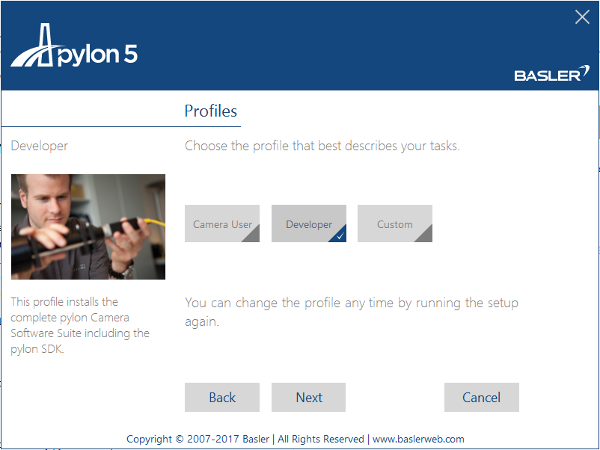 Open the "Edit environment variable" UI, and modify Path to add a new line with %VISP_WS%\opencv-4.0.0\build\x64\vc14\bin. You have also to add the location of librealsense library in the Path environment variable. Open the "Edit environment variable" UI, and modify Path to add a new line with %VISP_WS%\librealsense\build-vc14\bin. where %VISP_DIR%\eigen-3.3.7\build-vc14\install is where you have installed eigen. Inside the folder share\eigen3\cmake you should have a file named Eigen3Config.cmake. 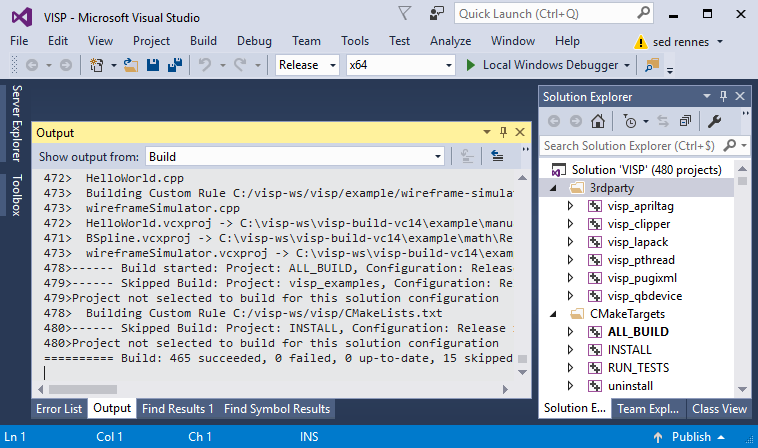 The goal of the configuration step is now to use CMake to produce a Visual Studio C++ solution file that will be located in %VISP_WS%/visp-build-vc14. Click on "Yes" to create the %VISP_WS%/visp-build-vc14 folder. 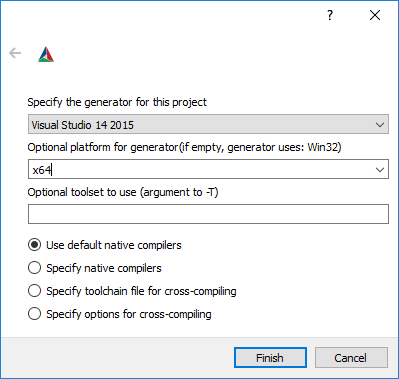 Select then your compiler "Visual Studio 14 2015 Win64" and click on "Finish" button. Installation folder is set to %VISP_WS%/visp-build-vc14/install. If you want to change the installation folder to C:\Program Files (x86)\ViSP, make sure that you have administrator privileges to write in that folder before modifying CMAKE_INSTALL_PREFIX. 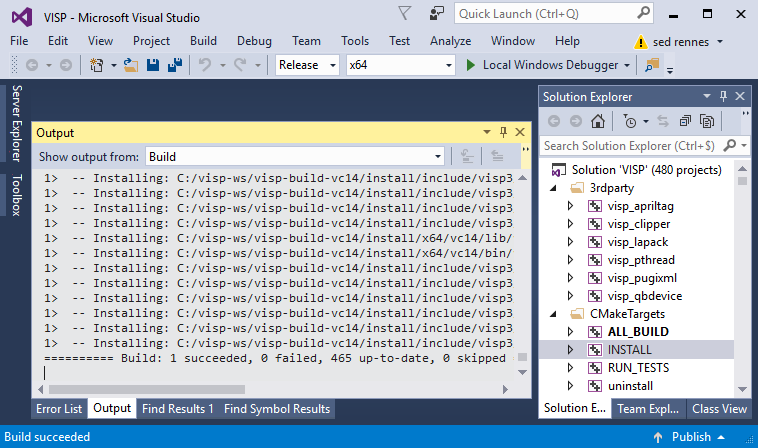 Once the generation is done, in %VISP_WS%/visp-build-vc14 folder you have the Visual Studio VISP.sln generated solution file. To build ViSP just double click on %VISP_WS%/visp-build-vc14/VISP.sln solution file. 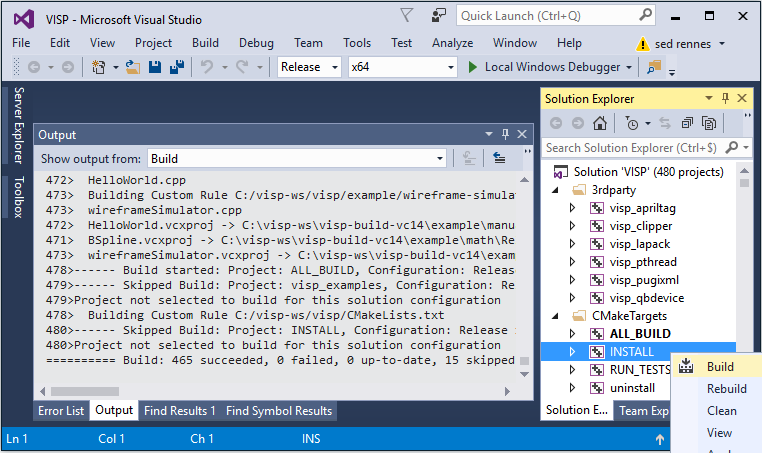 This action will open ViSP project in Visual Studio C++. 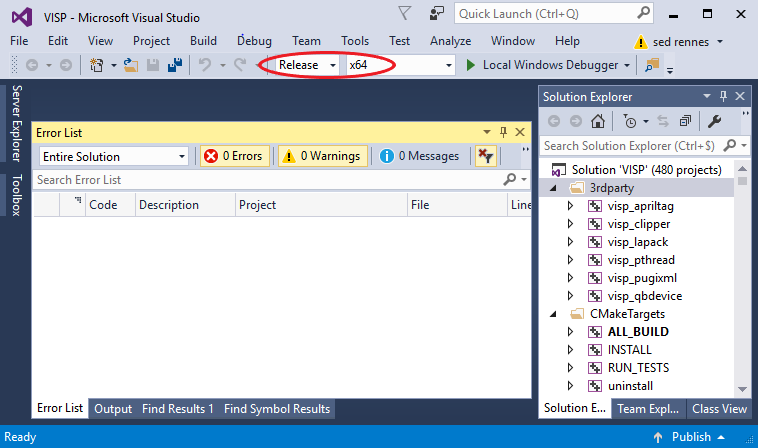 By default, Visual Studio opens the solution in Debug configuration. Modify the configuration to "Release". As shown in the previous image, all the headers but also the generated libraries are copied in %VISP_WS\visp-build-vc14\install folder; headers and libraries in include and x64/vc14 subfolders respectively. This ends ViSP installation in "Release" configuration. Now in %VISP_WS%/visp-build-vc14/install/x64/vc14/bin folder you have ViSP DLL libraries corresponding to ViSP modules. Modify the Path var to add the path to ViSP dll libraries. To this end open the "Edit environment variable" UI, and modify Path to add a new line with %VISP_WS%\visp-build-vc14\install\x64\vc14\bin. it may possible that you have more then one Visual Studio version installed on your system.